Hatch chiles are in season! In celebration of my favorite season, I made this creamy vegan fire-roasted hatch chile spicy hummus :-). This is the ultimate appetizer for those who like it hot! And if you don’t like too much spice, you are in full control of the level of spice! This healthy fire roasted hatch chile vegan hummus recipe is perfect for entertaining, or for a spicy snack! 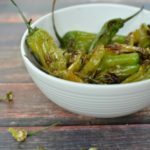 I first discovered hatch chiles when we were living in Austin. Hatch chiles were so popular that festivals were created to celebrate their spicy goodness. Huge fire roasters could be found at many restaurants like one of my favorites, Chuy’s. Even Whole Foods has fire roasters in their parking lots during hatch chile season. And the hatch chile craze has spread to other cities. When we were in Boulder a couple of weeks ago, the Whole Foods in Boulder also had a big fire roaster in their parking lot! You could find the most unusual foods created with hatch chiles. During our last trip to Austin this past August, Central Market had hatch chile apple pies, jams, cookies, muffins, chocolates, etc….If you could imagine it, you could probably find it for purchase :-). Green chili recipes are a lot of fun when you can use them in desserts too! 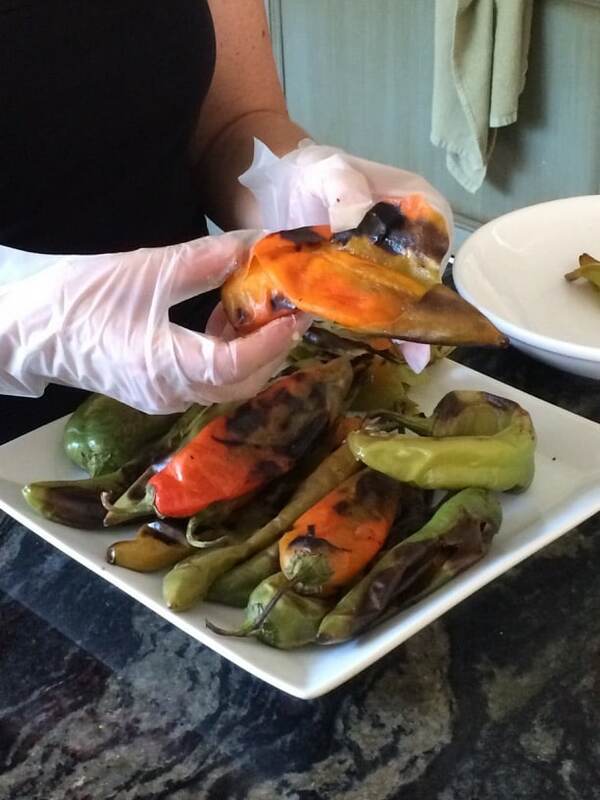 Check out this short video that will show you how easy it is to fire roast hatch chiles on your grill! 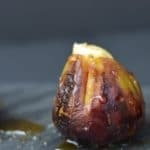 Some of my favorite roasted hatch chile recipes include Lamb & Hatch Chile Stew and Cheesy Hatch Chile Grits with a Fried Egg. 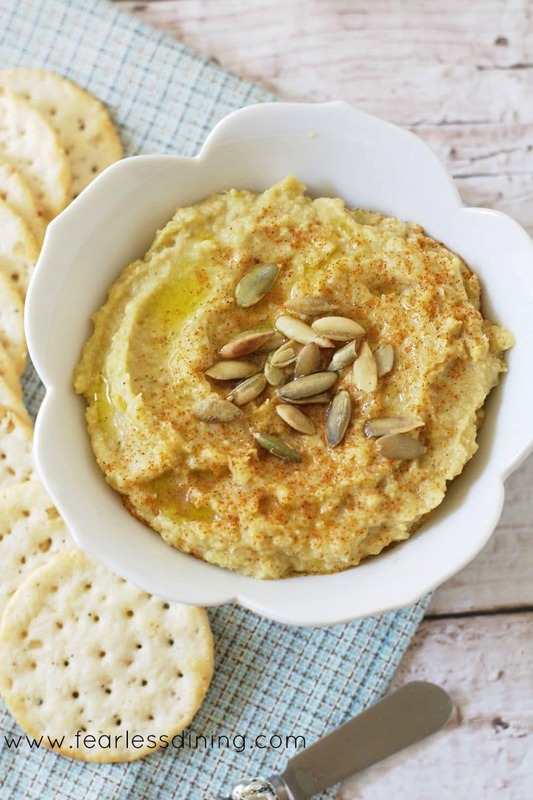 Check out this video that shows you how easy this spicy hummus recipe is to make. I was surprised to see fresh hatch green chiles at our local market, and I couldn’t resist buying a big bag of them. Put them directly on the grill and fire roasted them until their skins were blistered. Allow the chiles to cool, which helps to loosen their skin. SAFETY TIP: I use gloves to remove the skins, stems, and seeds. These peppers are not “hot” peppers, but I always take a little precaution just in case. 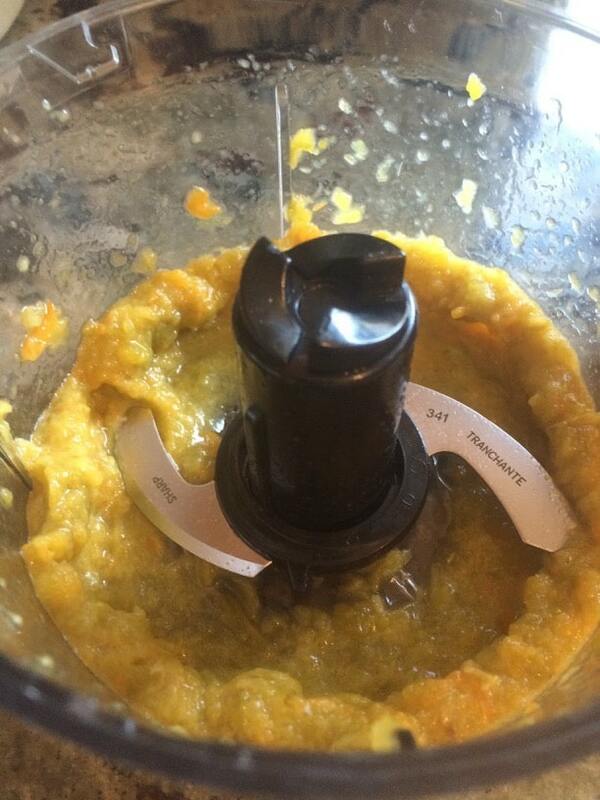 I couldn’t live without my Cuisinart Immersion Blender. The attachments save me so much time. This little food processor makes the hummus in under a minute. 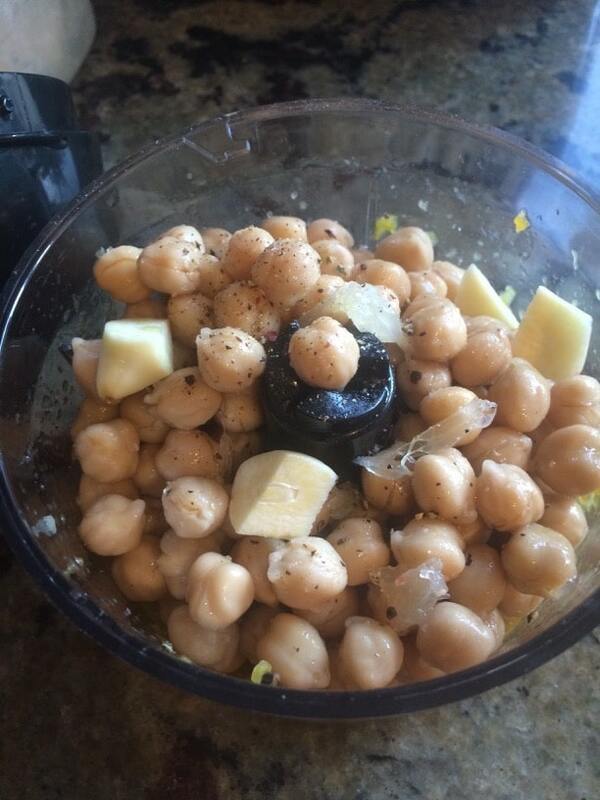 For the video, I used my Vitamix blender to make the hummus. I love my Cuisinart, but it isn’t good for video because of the wand on top! Here are the hatch chiles all ground down. Add the other ingredients and turn on for a minute. Add all ingredients to a food processor and blend until creamy. Serve with crackers or cut vegetables. Optional, garnish with sesame seeds, toasted pumpkin seeds, paprika, and drizzled olive oil. 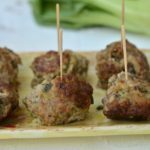 More Delicious Appetizers For You To Try! Try this Southwestern Spinach and Corn Cheese Dip a try! 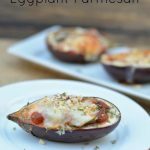 I just made this and it is delicious! I used four Tbsp of lemon juice. Never heard of Hatch chilies before, but I read up about them. Then I saw them at Whole Foods. I guess they are in season now. This recipe is a keeper. Super delicious! My husband and I have been pigging out with the Hummus and home made corn tortilla chips! A total winner! Thanks for the recipe ? The infusion of peppers to this hummus must have given it a very distinct flavor! Oh, I bet this hummus is amazing! I saw some hatch chilies in the store the other day I going to go back and see if they still have some. This is a delicious use of the chile’s, I have to try this. Latex gloves became my friend once I started working with chiles on a regular basis. This hummus calls out to me! 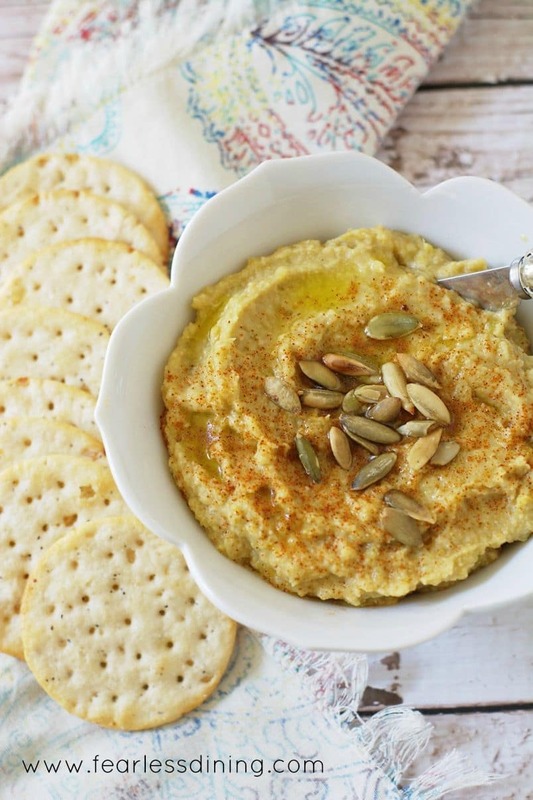 I’ve never had hatch chilies before – Or hummus for that matter! But this looks fantastic! I have learned that lesson of all it takes is rubbing an eye once or twice. I’ll never learn. I haven’t had the pleasure of finding hatch chilies but as soon as I do this is being done – I love fun hummus flavors. I am a huge fan of Hatch chili. Infact, chili of any kind gets me very excited. I am a spicy food junkie. Your hummus looks so very delicious. I can’t wait to try it. 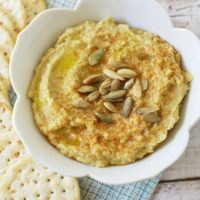 I need to get my hands on some of these hatch chilies, this hummus sounds wonderful, perfect for a Labor Day party! The combination you’ve put together here is mouthwatering. What a delicious appetizers. Pinning for later, be perfect for a party!